"The Chi" gives people a closer look into who the people of Chicago are beyond statistics and stereotypes. A lot of people, from the president to other politicians, have used Chicago as an example of what is wrong with the inner cities, and why we need to increase policing and toughen up laws. But I don't believe that they are really thinking about the children of Chicago, about giving communities hope, or how they could care for these human beings and better their lives. "The Chi" and creator Lena Waithe give people the opportunity to get a closer look into who the people of Chicago are, and to black life in the city. We don’t want them to look at the people in this city as just a statistic or a stereotype, or an example of what the president's saying is going wrong. We want people to see a family just striving to make it, just like a family in Oklahoma or Georgia might be. It’s important that we tell stories that have authenticity, that show the dynamics of who we are as people. Black life right now — as it has been throughout American history — is not valued on the same level that other people's lives have been. And I believe that, through telling our stories, stories with heart, stories with joy, stories with pain and love, you get to humanize characters and show that we’re all human beings. I'm from Chicago, so it also means a lot to me to be able to be a voice for the people, for the living black part of Chicago. That city, that neighborhood and that culture represents so many pockets of life in America — the black inner city, yes, but also the communities that develop in poorer neighborhoods. Chicago has always had a sense of community — and when I say community, I mean, you know your friend's grandmother who might cook for you, who might scold you when you're doing wrong, who might joke on you. Then you also know the people from church that your family may go to, you know people from the park that you go hang out at and from the block parties. The community is there, and it’s a part of what has brought hope and inspiration to people in Chicago. But beyond the informal community building that goes on, there’s formal stuff, too — church events, programs like Bitty Basketball (that I participated in growing up) and the education programs at the Museum of Science and Industry. There’s Father Pfleger, who has been doing things in the South Side since I was a kid, getting ex-gang members to create treaties amongst themselves, or having basketball programs, so that cats from opposite gangs played ball together — it broke down some barriers. There’s Cease Fire, which does a lot of work to stop the violence in Chicago, and you have former Obama education secretary Arne Duncan, who's been doing work to get jobs and opportunities for people in Chicago with the Emerson Collective. You have The Common Ground Foundation, my foundation, where we work with youth and empower them academically and introduce them to being a part of social impact. They still have some of these things that exist. But one of the solutions to healing our city is mental health support. Any kid that is growing up in Chicago, is experiencing some trauma — the trauma of just trying to make it to school, the trauma of violence that exists within our environments, the trauma of losing friends to murder. That's a tough thing to have to go through as a kid, and as an adult. The ability to access mental health services is one of the things that we're overlooking as a city and as a country, especially when it comes to people in poorer neighborhoods. You need to have someone to talk to that's a professional, that can help guide you towards healing. Like anybody else who's been through trauma, we need support. We are trying to show all of this, that sense of community and its importance to people on "The Chi," alongside the aspirations of everyday people who are not part of the drug world, or gangsters. We want to show people who are just living their lives and living amid violence but trying to thrive in the situation, and we want people watching to see individuals instead of statistics. 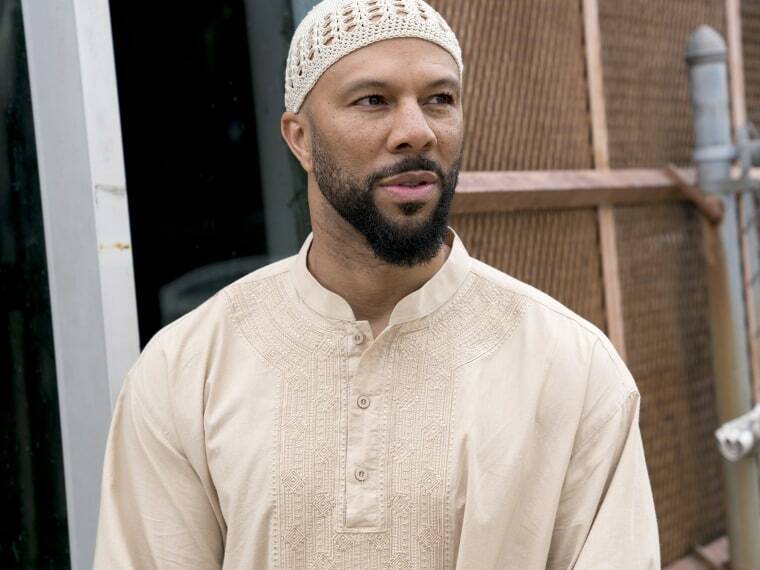 Common is an American hip hop recording artist, actor, film producer and poet from Chicago, Illinois.